Did you know that the Royal Family has its own website? They do. The address is “royal.uk” (catchy, right? ), and it’s not your typical government website. While “whitehouse.gov” has some character, in terms of charm and personality, it pales in comparison to our UK counterpart. According to Business Insider, as of late 2017, the Royal Family was worth just under $90 billion—contributing roughly $2.4 billion to the UK economy each year—though after the birth of Prince Louis and after Prince Harry’s recent nuptials, the dynasty’s value has undoubtedly surged. Even more staggering than the family’s monetary value is their soaring popularity. In an age when the word “monarchy” feels archaic and out-of-style, Elizabeth II and her heirs maintain a massive global audience, and there’s now an acclaimed Netflix series devoted to The Queen. 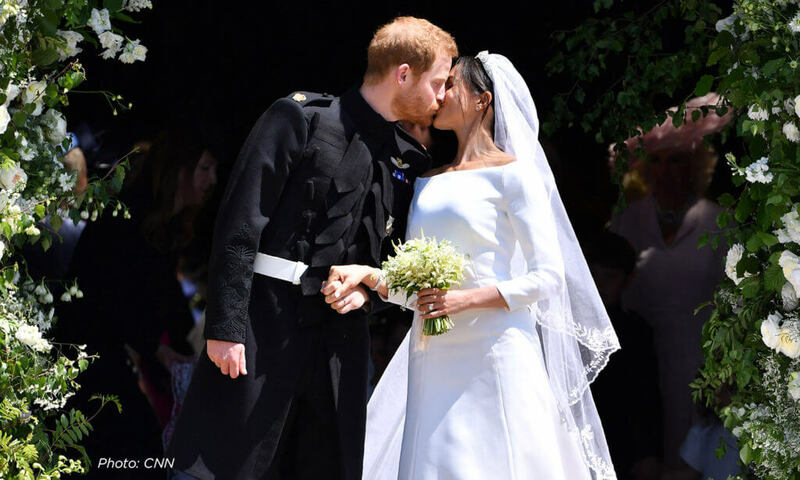 The Nielsen data doesn’t lie: Meghan and Harry’s wedding was watched by more than 29 million viewers in the U.S. alone. The Super Bowl might have them beat (the most recent bowl amassed over 103 million), but most brands would kill for that many spectators spread across 15 separate networks. Most of the fascination is due to the fairy tale nature of it all and the desperate need for escapist television in this highly political (see: contentious) era. But we can’t ignore the fact that the Royal Family has cultivated this business for decades, and their branding is intentional and strategic. So, while your company may not reap the benefits of being one of the most iconic families in modern day history, there are still some things to learn from the Royals. More than anything, the Royal Family website is unabashedly personal, rife with smiling close-ups of the principal cast of characters. The site depicts the Queen and the rest of the royal cast as outgoing, generally cheery people who happen to exist in this opulent setting. It reinforces the argument that businesses should not back away from personality; the more your customers learn about you and your team on a personal level, the more trust they’ll develop in your brand. Whether you write copy in the first person, offer up opinions in your tweets, or publish your personal excursions on Instagram, you’ll inadvertently give your brand some much-needed authenticity. The Royal Family’s site is not elaborate by any means, but it is populated with rich, varied content. The photos are a blend of formal, casual and candid, while the videos depict major milestones, provide unique perspectives on televised events, and offer behind-the-scenes looks at the happenings around Buckingham and Windsor. Scrolling through, you’re reminded how much we rely on visuals to fully understand a brand. When the Luxury Marketing Council Worldwide gathered at Manhattan’s Pierre Hotel in January of 2018, the powers that be determined, not surprisingly, that modern luxury is all about “experience.” Scanning their well-curated Instagram page, it’s no doubt that the marketing masters behind the Royal Family are intent on delivering precisely that. From YouTube videos of Kate’s charitable acts to shots of Prince Harry high-fiving crowds of fans on the street… with each post, the Royal Family proves that luxury is about delivering riveting, relevant experiences and convincing your customers that they’re living each one firsthand. As a business owner, infusing your brand with personality can feel like a major risk. Your instinct might be that “personal” and “business” don’t mix… or that your daily life is not relevant to the products or services you’re offering. However, research shows that modern consumers want to know the names and faces behind their jeans, their socks, their music streaming services. And if The Queen herself can pose for the occasional publicity photo and share her experiences with millions of viewers around the globe, then it’s fair to say that we can all do the same. Article originally published in Community News.